Pipa Virtuoso Wu Man Brings Ancient Chinese Music To The Present Wu Man is a master of the Chinese pipa, a lute-like instrument with a 2,000-year history. She stopped by NPR to talk about her fresh twist on ancient music and perform live. Wu Man hopes her use of the pipa will help teach the world more about Chinese culture. Wu Man is recognized as the world's greatest virtuoso on an instrument that is over 2000 years old: the Chinese pipa. Throughout her career, she's brought the pear-shaped, 24-fret instrument into the 21st century by collaborating with world class orchestras like the New York Philharmonic and groups like the Kronos Quartet and Yo-Yo Ma's Silk Road Ensemble. "Jump out the box — I always wanted to do [that] as a musician," Wu Man tells NPR's Scott Simon before playing the main riff to Black Sabbath's "Iron Man." "I personally really enjoy [trying] something different ... to use my instrument to communicate with the audience." She hopes her music will teach the world more about Chinese music and culture. 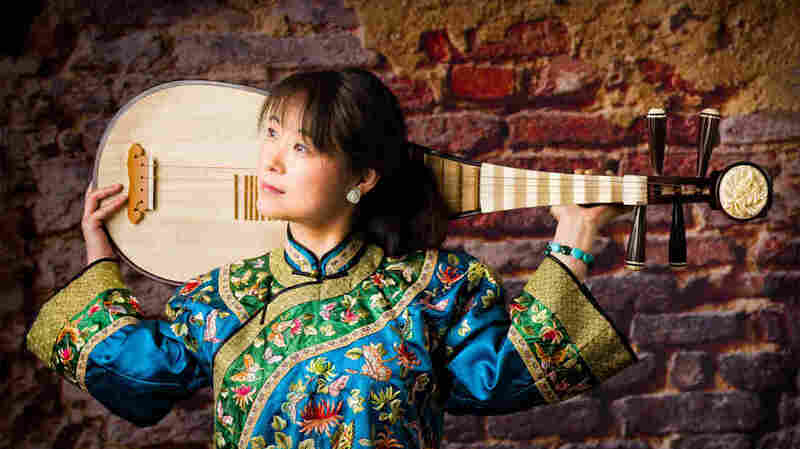 Wu Man stopped by the NPR studios in Washington D.C. to discuss the history of the pipa, the increase of women playing it and how she experiments with different genres with NPR's Scott Simon. She also played a traditional pipa piece, "White Snow in Spring," live. Hear the performance below and listen to the full interview at the audio link.